ASGShop.pl contacted us and owervhelmed us with abundance of awesome items they have in stock. They new stock includes accessories ?for Airsoft user and also for real firearms. My favourite item is the new VIPER Red Dot with 6 MOA dot. 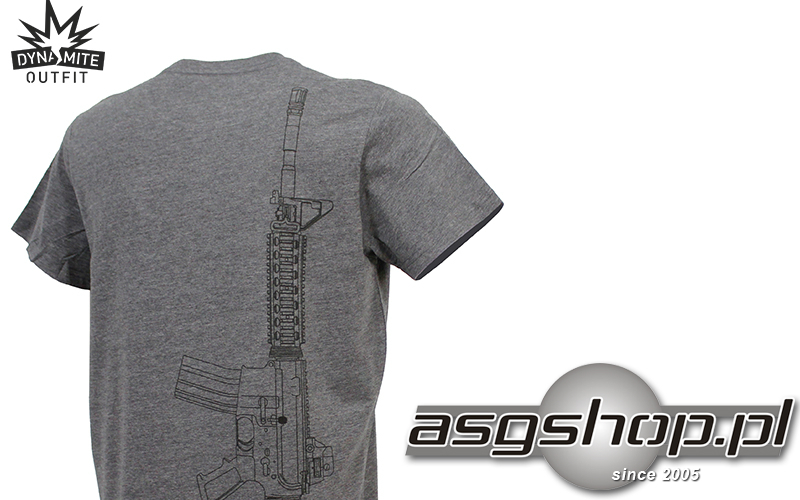 But there is a lot of other interesting items as ASG parts and KWA airsoft guns. Simple?Fast?Effective?Point and Shoot. When you boil it down, those are the advantages of a red dot sight. And that?s what the SPARC AR delivers – all in a durable, lightweight, compact, and ultra-clean package. Digital rear-facing controls for power and dot brightness offer quick access and are viewable from the shooting position. 2 MOA dot diameter promotes precise point of aim. Automatically returns to last dot intensity used when powered up. Unlimited eye relief and parallax free, the SPARC AR gets shooters on target fast. Waterproof, fogproof and shockproof for ultimate durability. Unit automatically shuts off after 12 hours to prevent accidental battery rundown and operates using a common AAA battery. Duty rifle – home defense?recreation, the SPARC AR is built to handle all your red dot needs. Multi-functional carbine for all sorts of skirmishes. The KWA full metal KM4A1, the first production AEG engineered specifically to handle the performance of advanced battery technology, is now available for an extremely limited time in Flat Dark Earth. Built with KWA?s legendary 2GX mechbox, the KM4A1 features 9mm bearings, a reinforced and radiused mechbox, an enhanced 2G hop up bucking, cross-compatibility with nearly the entire KM4 Series, and accepts almost all standard real-steel AR-15 furniture. WIth the KM4A1, you can expect long lasting reliability and performance in a mission-ready combat rifle. The KWA full metal KM4 CQB, the first production AEG engineered specifically to handle the performance of advanced battery technology, is now available for an extremely limited time in Flat Dark Earth. Built with KWA?s legendary 2GX mechbox, the KM4 CQB features 9mm bearings, a reinforced and radiused mechbox, an enhanced 2G hop up bucking, cross-compatibility with nearly the entire KM4 Series, and accepts almost all standard real-steel AR-15 furniture. With the KM4 CQB, you can expect long lasting reliability and performance in a mission-ready combat rifle. The KeyMod universal interface system is a new innovation in the firearm industry used for weapon ergonomics and mounting tactical accessories. The KeyMod design was developed by VLTOR Weapons Systems and was open to the public domain by Noveske Rifleworks for all manufacturers to use. KWA recognizes the benefits of this new design which allows for a wide range of accessory flexibility and weight reduction when compared to traditional quad rail systems and are proud to announce the KR KeyMod Weapons Platform. The KR series have been produced in several different lengths to accomodate a variety of needs. The AK-74 is an assault rifle developed in the early 1970s in the Soviet Union as the replacement for the earlier AKM. It uses a smaller 5.45x39mm intermediate cartridge, replacing the 7.62x39mm chambering of earlier Kalashnikov-pattern weapons. Due to the combination of the recoil system with gearbox upgrede is not possible.